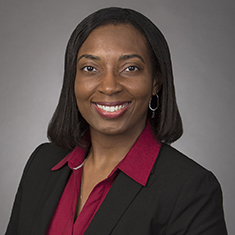 Johnjerica Hodge concentrates her practice on internal and government investigations, corporate compliance, environmental litigation and appellate litigation. She represents health care providers in investigations and related False Claims Act matters arising from allegations of Medicare and Medicaid fraud and abuse and violations of the Anti-Kickback Statute. Additionally, she provides counsel on billing and coding issues related to state laws. Johnjerica is a member of the independent compliance monitor team appointed in connection with a significant Foreign Corrupt Practices Act settlement by a pharmaceutical company, and she counsels clients on various environmental law, administrative law and constitutional law issues. Johnjerica has substantial experience in motion practice in state and federal courts and also devotes a portion of her practice to corporate compliance and business ethics issues. Prior to joining Katten, Johnjerica served as a clerk for Chief Judge Carl E. Stewart of the US Court of Appeals for the Fifth Circuit. During law school, she contributed to and was a member of the Alabama Law Review. She also interned in the Federal Tort Claims Act Litigation Section of the US Department of Justice and with the Honorable Lawrence S. Coogler of the US District Court for the Northern District of Alabama. Shown below is a selection of Johnjerica’s engagements. Representation of a health care provider subject to government investigation for alleged violations of the False Claims Act. Representation of a health care provider in an internal investigation relating to potential FCA liability arising from billing and coding issues. Representation of a company in state and federal environmental litigation. Counsel to a software company on compliance issues related to mergers and acquisitions. Counsel to a company on FCPA risks from a subcontractor’s operations in Latin America. Representation of a multinational company relating to an internal investigation in Vietnam. Representation of a multinational retailer in a constitutional challenge to administrative agency. Counsel to a multinational company on FCA risks from a potential business partnership. Member of the independent compliance monitor team for a multinational pharmaceutical company convicted of violating the FCPA. Representation of a health care provider in an internal investigation relating to potential liability under state law arising from billing and coding issues. Representation of a health care provider in obtaining a dismissal in an FCA lawsuit arising from allegations of Medicare and Medicaid fraud and abuse. Representation of a health care provider in obtaining a favorable settlement in an FCA lawsuit arising from allegations of violations of the Anti-Kickback Statute. Representation of a national sporting goods store in a breach-of-contract lawsuit against a software company. Representation of a multinational oil and gas company in a breach-of-contract arbitration against a contractor. Representation of a general contractor in a construction defect litigation. Representation of an oil and gas exploration and production company in an SEC enforcement action.